An epic tour de force of love and loneliness, war and art – as well as a loving homage to The Great Gatsby – and a stunning work of imagination from one of our greatest writers. 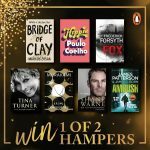 Two winners will each receive a hamper of Penguin Random House SA’s favourite international titles! 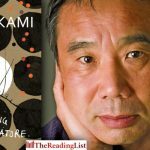 Haruki Murakami’s hotly anticipated new book Killing Commendatore will be available in South Africa in November 2018!